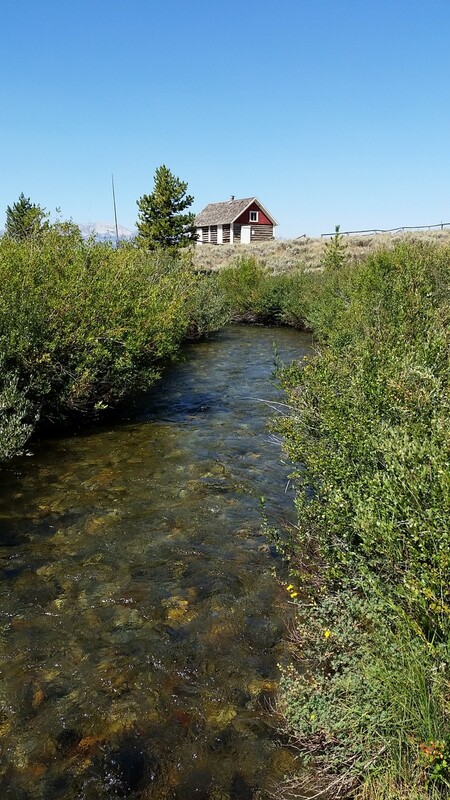 The Pole Creek Guard Station, constructed in 1909, is located on the Sawtooth National Recreation Area (SNRA) and is the oldest standing Forest Service structure on the Sawtooth National Forest. Although some restoration work was accomplished in 1989 and the building was evaluated and found eligible for placement on the National Register of Historic Places (NRHP), some roof maintenance (shingle replacements, etc), painting, and a few boards around the walkway need to be replaced. The Idaho State Historic Preservation Office (SHPO) has expressed the need for us to complete maintenance, and actually nominate this building for inclusion on the NRHP. We will be partnering with SNRA Ranger Kirk Flannigan and the Sawtooth Interpretive and Historical Association, including former Sawtooth National Forest staff officers. All will assist and direct PIT participants as they volunteer their time and expertise to help with the restoration effort. The SNRA consists of 756,000 acres of beautiful mountainous scenery, and includes the Sawtooth Wilderness, Cecil D. Andrus-White Clouds Wilderness, and the Hemingway-Boulders Wilderness areas. There are over 700 miles of trails, 40 peaks rising over 10,000 feet and 300-plus high-elevation alpine lakes that add to the spectacular scenery and vistas. And aside from all the beauty surrounding you, hiking, backpacking, fishing, boating and canoeing, rafting, observing nature, photography and bicycling can be taken on in your time “off the clock!” We hope you’ll join us this summer to put the polish on this historic guard station, and take in some breathtaking scenery while you’re at it! Facilities: Dispersed available 1/4 mile north of the project site; chemical toilet; pit toilet at project site; Tent and RV camping available at Alturas Inlet Campground (~7 miles from the project area: https://www.fs.usda.gov/recarea/sawtooth/recarea/?recid=5944 and Pettit Lake (~10 miles from the project area: https://www.fs.usda.gov/recarea/sawtooth/recarea/?recid=5946) available on a first come, first-served basis; amenities vary and fees may apply; reservations also available at Smiley Creek Lodge (~3 miles west of project area: http://smileycreeklodge.com/lodging/); cabins, lodge rooms, yurt, and teepees; fees will apply; if opting to stay at campsites or lodge, please make reservations early, as all fill up fast.